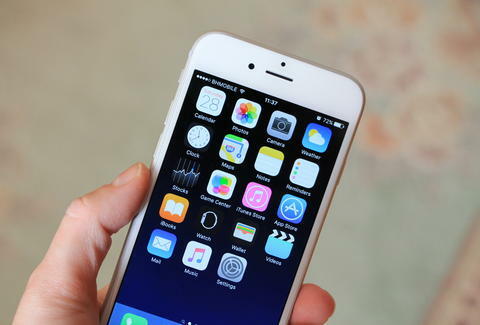 Every fresh version of iOS brings big new features that Apple flaunts in flashy videos and ontage during its big presentations. However, sometimes it's the small and seemingly insignificant updates that turn out to be the best. Case in point: a new settings option in iOS 11 that allows you to disable those wildly obnoxious in-app review pop-up screens. In addition to the built-in one-handed keyboard, revamped Control Center and other handy features that updating to iOS 11 gets you, the lesser hyped ability to turn off the pesky review prompts is huge. 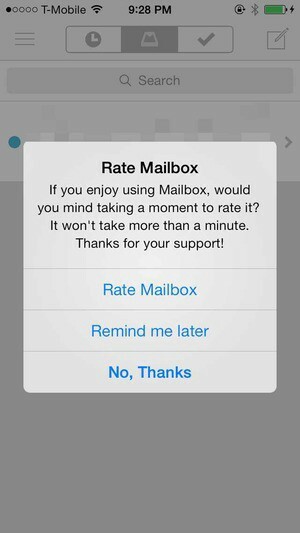 If you're not familiar with the annoyance, they're those obtrusive dialog boxes that intermittently interrupt your experience in an app by asking you head to the App Store to rate or review it. This sort of feedback is hugely important for apps (and their developers) and can dramatically affect their ranking and visibility with the App Store, but it can be a real pain when the box pops up while you're trying to quickly check the weather or your bank account. 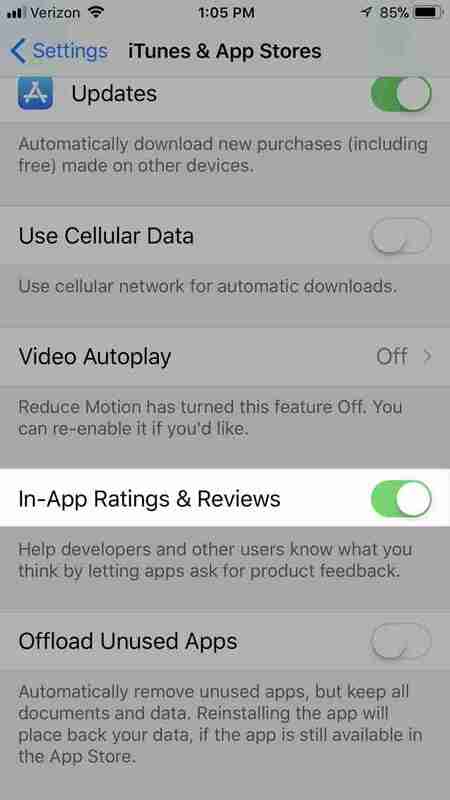 Here's how to turn them off: head to Settings > iTunes & App Stores, and switch off In-App Ratings & Reviews. Boom, that's it. Now, go forth and be app-y, free and clear of rude disruptions.